Since it was first described in 2001, the one anastomosis gastric bypass (OAGB) has been gaining popularity in the Middle East region and worldwide. We designed a survey to evaluate the trends, techniques, and outcomes of OAGB in our region. A questionnaire to study OAGB was sent to the members of the IFSO MENA chapter. One-hundred and forty-eight surgeons (74%) responded. Forty-six percent of all respondents (64 surgeons) performed OAGB routinely. The most commonly performed procedures were the laparoscopic sleeve gastrostomy (LSG), followed by OAGB, and then Roux-en-Y (RYGB). Of the surgeons who responded, 65% did not perform routine pre-operative endoscopy. Seventy-two percent believed that OAGB produces better weight loss than the LSG while 58% did not believe it produced better results to RYGB. The most common length of biliopancreatic limb utilized was 200 cm, and 72% of surgeons did not measure the total length of the small bowel. Fifty percent of the surgeons offered OAGB as a treatment for acid reflux and 33% offered it to active smokers. Early complications included leak (< 1%), venous thromboembolism (< 1%), and mortality (< 0.5%) in most centers. Leaks were managed conservatively (23%), by conversion to RYGB (20%), reinforcing the anastomosis (19%), reversal to normal anatomy (6%), and others (32%). 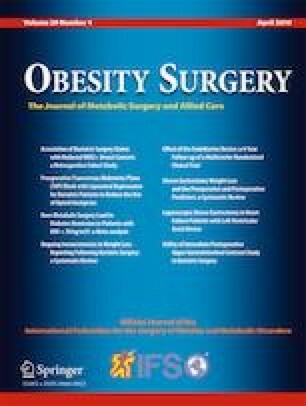 Of the total surgeons, 41% reported revising at least one patient for malnutrition and steatorrhea, and 32% reported revising at least one patient for sever bile reflux. OAGB is a commonly performed and safe procedure in the MENA region. Malnutrition and bile reflux requiring surgical intervention are serious long-term concerns.